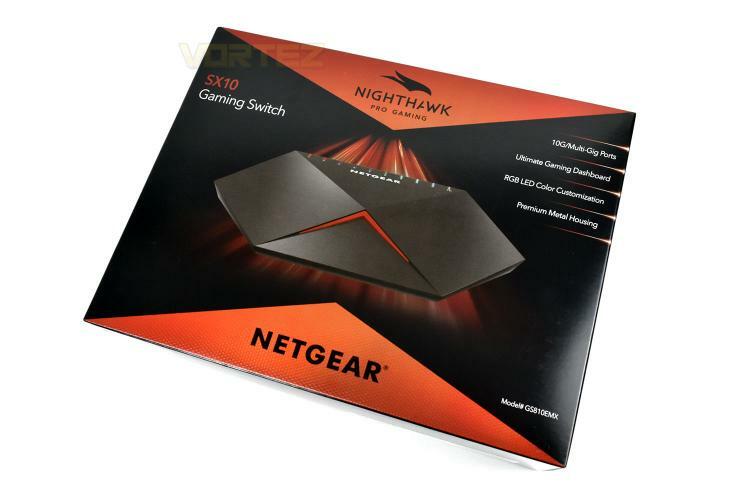 Netgear use a black and red theme for their Nighthawk products, which the SX10 Gaming Switch is no exception to. The front gives some brief features and a large picture of the product. 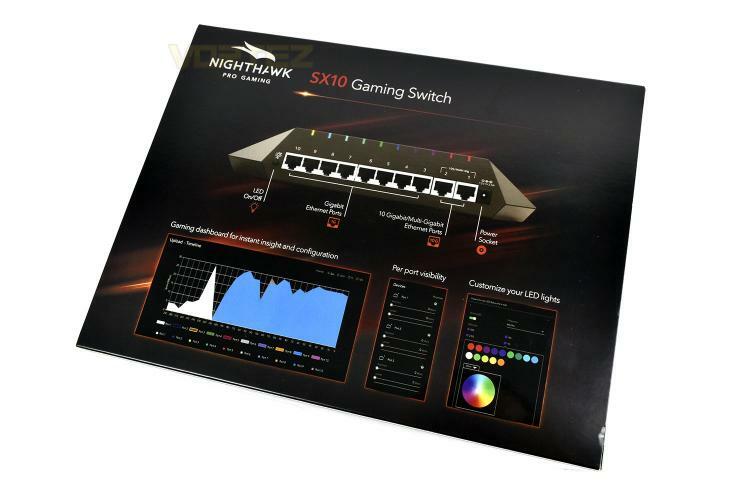 The back of the box shows the business end of the switch, ports and all, with some annotations. There’s also a trio of screenshots of the Gaming Dashboard. 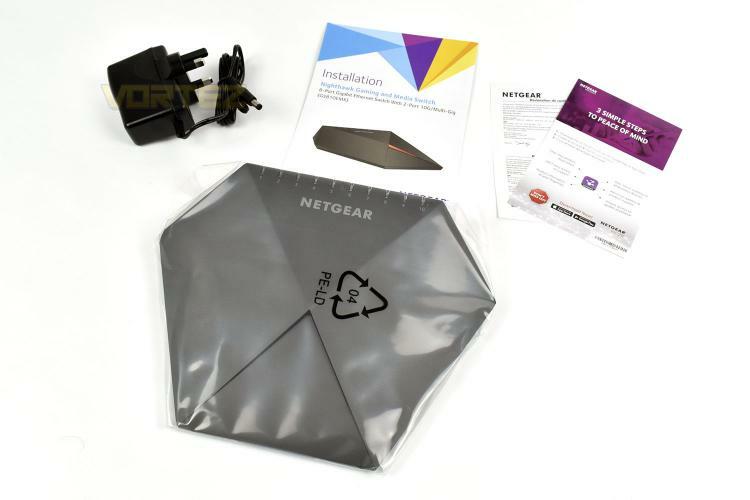 Included with the router is a UK power adaptor and setup instructions. You don’t get any fancy extras in the form of stickers or a keyring which would’ve been a small consolation given the £250 asking price.